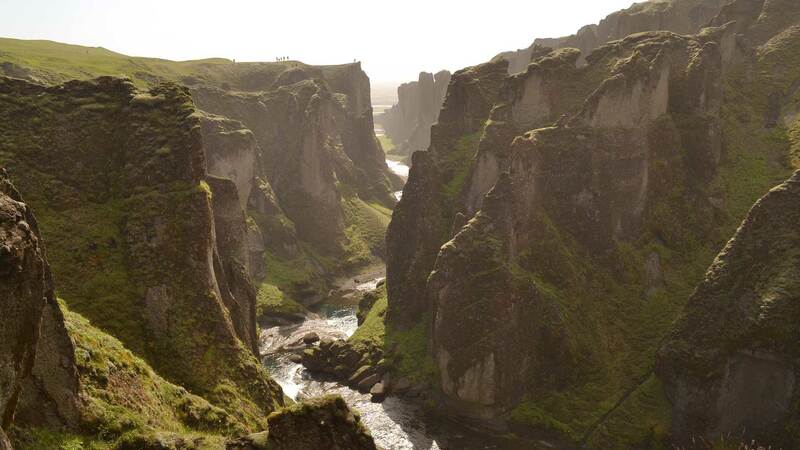 Take a journey into the Icelandic countryside on this 8-day self-drive adventure. Starting and ending in Reykjavík, your drive brings you to historical locations of the Icelandic Sagas, with plenty of time to spend at many of Iceland’s best known natural attractions, including the magical Snæfellsjökull glacier; beautiful waterfalls, bubbling hot springs, and the famous “Golden Circle” route. You will also have a lot of opportunities to explore the icy side of Iceland—the glorious glacier lagoon, glacier walks, ice caves and snowmobiling tours. Looking for the winter version of this tour? On arrival to Keflavik Airport, you will be greeted by a driver who will take you to Reykjavík where you can check into your accommodation and relax after the journey. After settling in, take the opportunity to explore the vibrant city center at your own pace. Spend the night in Reykjavík. Begin your journey today by driving through the bountiful Borgarfjörður area. 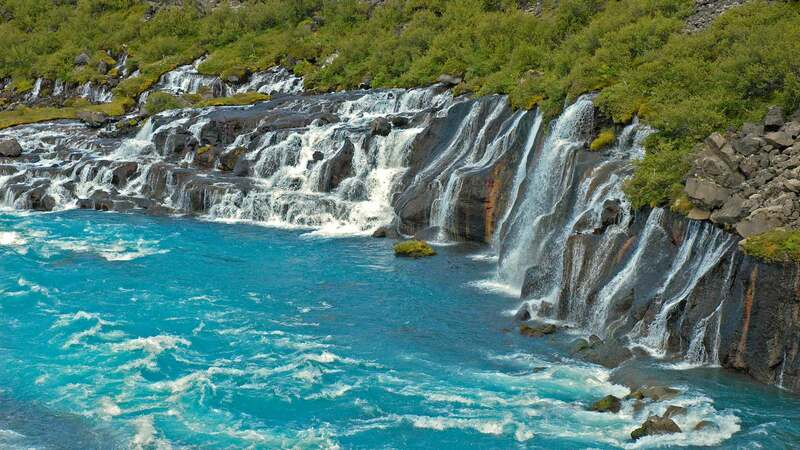 Sights along the way include the twin waterfalls Hraunfossar and Barnafoss along with the Deildartunguhver hot spring, and Háafell Goat Farm. You also have the choice to join optional activities such as visiting the Krauma to soak in soothing geothermal baths, exploring the lava tunnel Víðgelmir, venturing inside of a glacier or experiencing a thrilling snowmobile tour on top of a glacier. For those interested in the Viking history of Iceland, a stop at the Icelandic Settlement Center in Borgarnes is highly recommended. Spend the night in the Borgarfjörður area. Driving distance approx. 185 km / 115 mi. Your drive along the coast here also offers such sights as the Dritvík Cove, the Lóndrangar Cliffs, the Arnarstapi Cliffs, the hamlet of Hellnar and various other small fishing villages. For a fun photo opportunity and to experience a blast from the past, you can also visit Djúpalónssandur, a pebble-filled beach with four famed “lifting stones” that were used in old days to test men‘s strength for jobs on fishing boats. Do you have what it takes to lift the stones? Overnight in the Borgarfjörður area. Driving distance approx. 330 km / 205 mi. 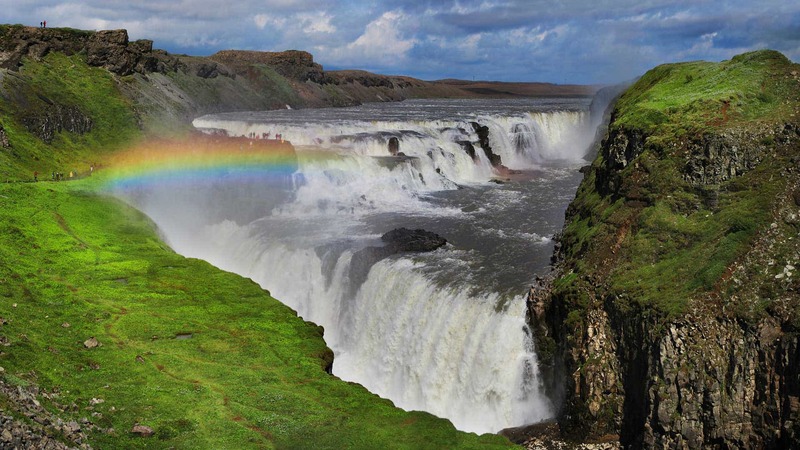 Today's journey brings you up close with some of Iceland’s most popular attractions on the classic “Golden Circle” route. If you’ve selected a 4x4 vehicle you can take the Kaldidalur route. Once within the Golden Circle, start with a visit to the fascinating Þingvellir National Park, a UNESCO World Heritage Site. 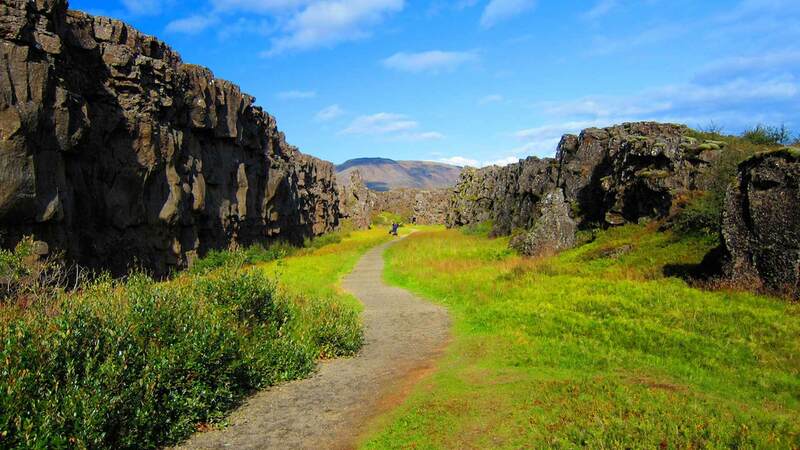 Here, you can walk on a path in the rift valley between the North American and Eurasion tectonic plates. Next on the route is the Haukadalur geothermal area, where you can see Geysir—the original “geyser”—and its more active neighbour Strokkur, which spouts water every few minutes. End the day’s adventure with a visit to the two-tiered Gullfoss waterfall, one of Iceland’s most memorable sights. Spend the night in Selfoss area. Driving distance approx. 230 km / 143 mi. Start with a visit to the fairytale-like Seljalandsfoss waterfall, where you can have the unique experience of walking behind the misty cascade. Just a short drive brings you to yet another gorgeous waterfall, the 60-meter tall Skógafoss, which is beautiful to photograph and roam the surroundings. 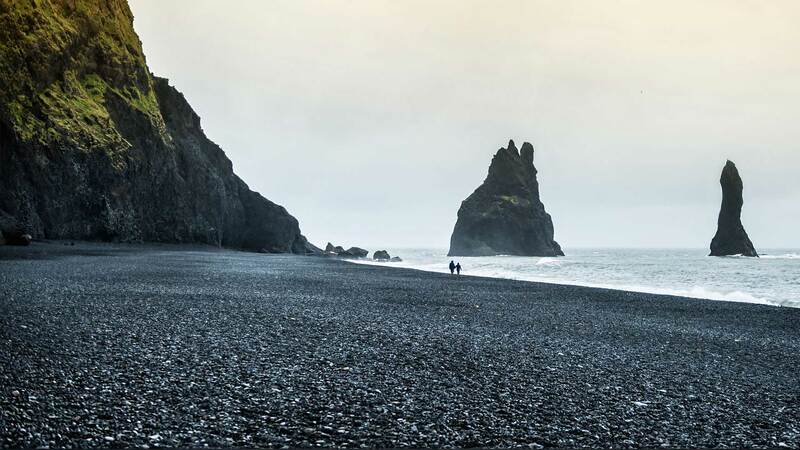 Your next stop is at the vast black volcanic sand beach south of Vík, where you can see the jagged basalt rock formations of Reynisdrangar and Dyrhólaey. Continue the scenic drive along the South Coast to the charming village Kirkjubæjarklaustur. Spend the night in the Kirkjubæjarklaustur area. 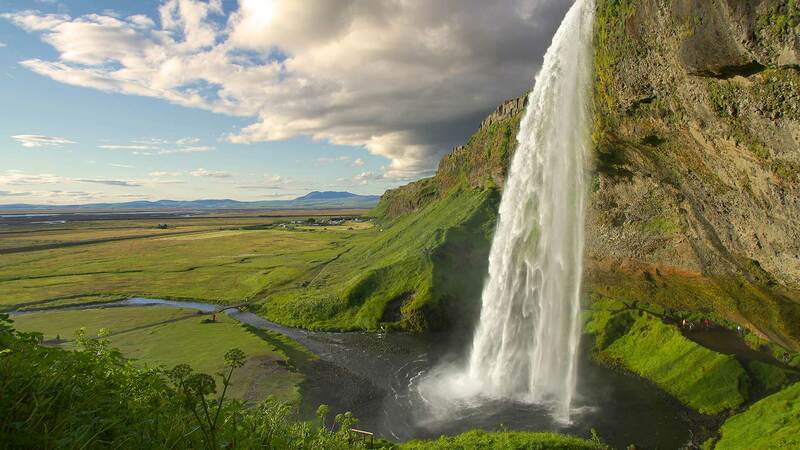 Explore Skaftafell, part of Vatnajökull National Park and a place of great beauty with many well-maintained hiking trails, including a short walk to the beautiful Svartifoss waterfall. In this region, you can embark on a glacier walk or try your hand at ice-climbing with an optional guided tour. 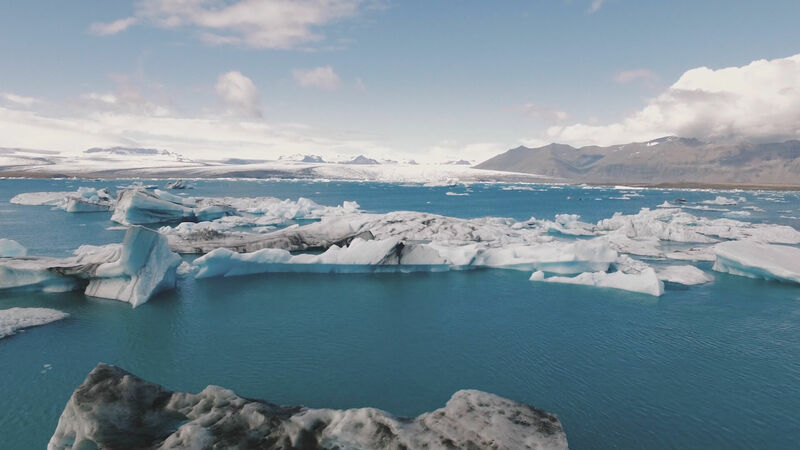 Then head to the glorious Jökulsárlón glacier lagoon and the Fjallsárlón ice lagoon where you can ride a boat along lagoon, gazing at the floating icebergs. 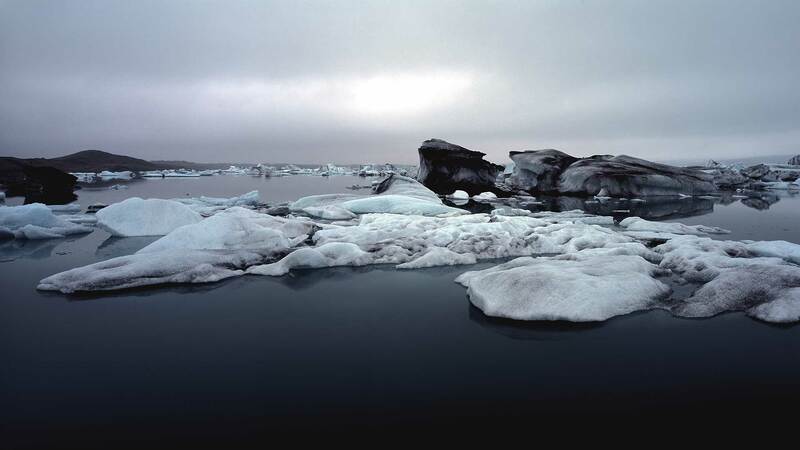 You can also view the icebergs on the black sand beach by Jökulsárlón, known as the diamond beach. Head back to your accommodation for the night. 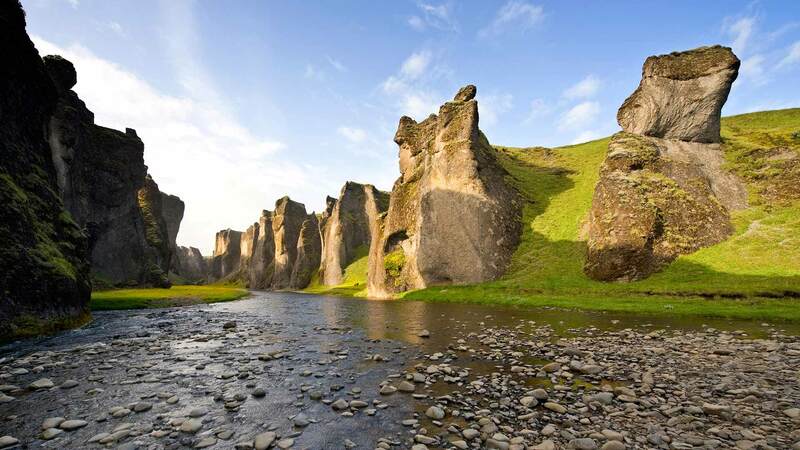 Drive along the south coast to the Reykjanes peninsula, visiting worthwhile stops along the way like Fjaðrarárgljúfur canyon and the Dverghamrar "elf cliffs". Once you have traversed the road under Eyjafjallajökull and Mýrdalsjökull, you will continue to the volcanic wonderland of the Reykjanes Peninsula, which reminds you that Iceland is very much alive with natural geothermal energy. We recommend visiting the bubbling mud pots at Seltún and Lake Kleifarvatn before reaching the world famous Blue Lagoon geothermal Spa (entrance not included)*. The Blue Lagoon´s water is rich in silica and blue-green algae, giving the lagoon its reputed healing powers and characteristic milky blue colour. In-water massages are available (must be booked in advance) but you can also unwind in a sauna and steam bath or get a soothing massage under the mini waterfall. Head to the capital city where you will drop the rental car off in the late afternoon before relaxing at your accommodation for your last night in Iceland. Spend the night in Reykjavik. Driving distance approx. 370km / 230 mi. *Reservations are required well in advance at the Blue Lagoon for both entrance and in-water treatments. 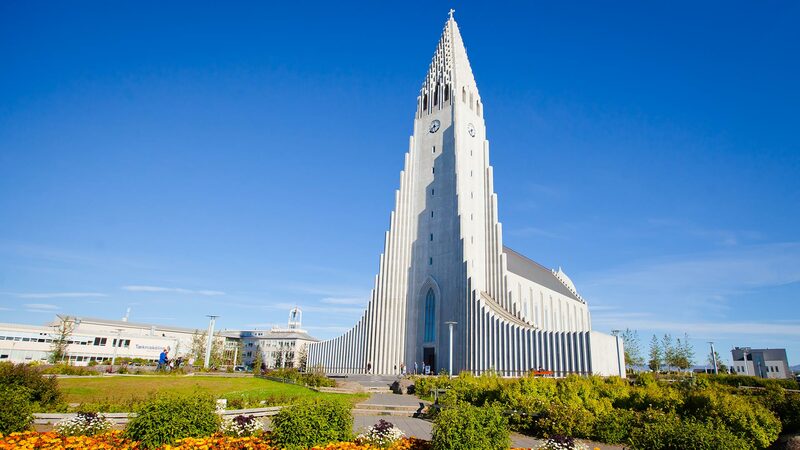 On your day of departure, a shuttle bus will collect you from your hotel in Reykjavík and deliver you back to Keflavík International Airport ahead of your scheduled flight. These should tide you over until you’re in Iceland to take your own pictures. I had a very positive experience with Nordic Visitor and would recommend Nordic Visitor to my friends! Thor was amazing and very helpful and I truly appreciated his assistance in answering my questions and preparing my Iceland trip! You were lifesavers when I was traveling to a new country and didn't know what to expect. You made it easy so I could relax and have fun. Dagny was helpful, the tour was great, and I knew I could call you if I had any problems. We wouldn't have seen nearly as much without Dagney's recommendations. This was the first tour that we have ever booked. Normally when we travel, we research and do all our planning ourselves. This trip was a delightful exception. It was very well organized by Nordic Visitor. I felt so much more comfortable with having so much planned by the experts ahead of time. The knowledge about Iceland from the people who live there is priceless. The maps, the phone and the GPS, were a significant help. We would never have been able to have experienced all that we did in such mental and physical comfort without the aid of Nordic Visitor. Our accommodations were lovely, as well as the restaurants recommended. We most definitely will recommend you to our friends, as well as travel with you ourselves on our next Nordic adventure. I found Nordic Visitor to be an extremely organised and professional company. I have met other New Zealanders who have found the same great service. Klara was great to deal with and we got a lot of great information about the holiday. Overall we were impressed with the service, organisation, level of planning and detailed information, your consultant was extremely helpful and competent and a pleasure to deal with. We had a very good experience. Having a representative at the car rental office was great. We were able to get the information we needed from her to get started. The maps and guides were great resources for the trip. Overall we are very pleased with Nordic Visitor. The planning and local support were great. Rooms with shared WC and shower (or bath) in farmhouses, guesthouses or well-appointed hostels. All provide breakfast (included in.. Rooms with private WC and shower (or bath) in a three-star hotel or well-appointed guesthouse. All provide breakfast (included in .. Rooms with private WC and shower (or bath) in a three- or four-star hotel or the best accommodation available in the area at the t.. Enjoy the journey, with authorization for two drivers and free GPS in the rental car of your choice. We recommend that all our travellers read through the following information about driving in Iceland, what the tour includes, the itinerary, weather conditions and other useful information for your travel. This is a self-drive tour where our guests follow a detailed personalised itinerary during their road trip in Iceland; no dedicated driver or tour guide on behalf of Nordic Visitor is included. All accommodations, the rental car, airport transfers and planned activities will be pre-booked by Nordic Visitor (as specified in the itinerary). Nordic Visitor works with a small group of trusted operators that the company has strong professional relationships with. Our team of local travel experts at Nordic Visitor have compiled a list of wonderful hotels for your stay in Iceland. We carefully select hotels/guesthouses in Reykjavik and the countryside based on excellent ratings, personal experience and comfort. Single, double and triple rooms are available for our self-drive packages. Please note, that in Iceland our room types are based on European standard sizes. For instance, a double bed often consists of two single beds pushed together. Triple rooms include a double bed along with an extra bed, a rollaway or a sofa bed, and a single room is often smaller than the standard double. It is critical that you are aware of driving laws and potential road hazards in Iceland. We strongly recommend taking a few minutes read from our online travel guide about driving in Iceland. Nordic Visitor self-drive customers also receive a brochure about driving in Iceland on arrival. Please note that sightseeing is dependent on weather and road conditions and might need to be altered if conditions are not favourable. Please be advised that days are long in Iceland during the summer, with almost 24 hours of daylight at the summer solstice. It is advisable to bring a sleep mask as some find it difficult falling asleep at night. For more information on weather conditions and daylight hours, we recommend visiting Nordic Visitor’s Online Travel Guide. All bookings are charged in Icelandic Króna (ISK), the official currency of Iceland. Prices displayed in other currencies are indicative only and based on the daily exchange rate as issued by the Central bank of Iceland. Therefore, conversions from ISK to other currencies will fluctuate from day to day. After booking your tour package with Nordic Visitor, you will be contacted within two business days by one of our travel consultants, who will serve as your dedicated contact person for all your travel needs before, during and even after your vacation. Your travel consultant will provide you with details about your booking and your remaining payment (if not paid in full). You will also receive more information about what to expect during your trip.